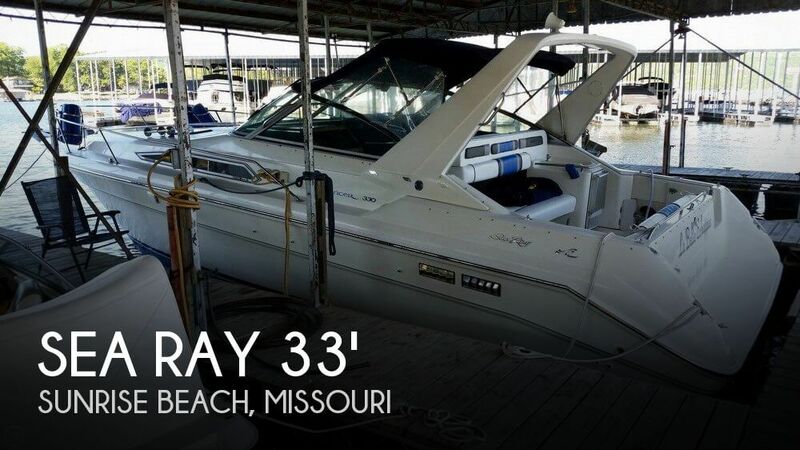 Overall, this 1994 Sea Ray 330 Sundancer appears to be in excellent shape! Probably one of the best cosmetically I have seen for this vintage. The hull shows well, and the cockpit is free of the typical weather wear, sun fading and upholstery cracking/discoloration you would normally see in comparable vessels. Below deck is much the same. The headliner, cushion fabrics and general appeal are very good! The boat has been kept neat and tidy. The carpet appears to be original and may warrant replacement but I would not qualify that as mandatory. What exists is serviceable and thus a discretionary decision for the new owner. More info on recent service work to come. Stock #131246 Excellent Condition and Turn Key! 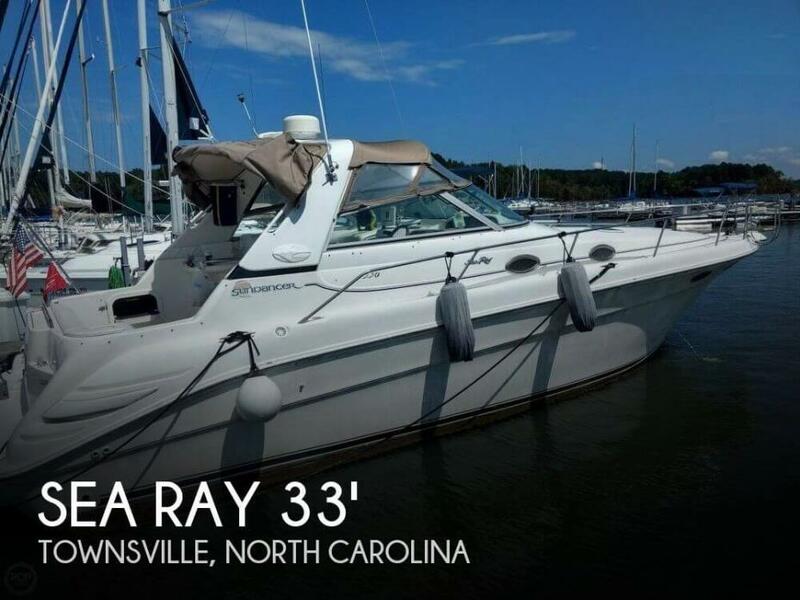 If you are in the market for an express cruiser, look no further than this 1994 Sea Ray 330 Sundancer, just reduced to $26,900 (offers encouraged). 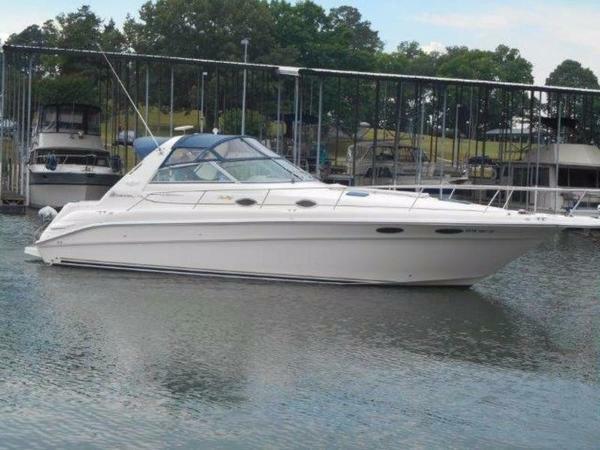 This vessel is located in Bunnell, Florida and is in great condition. 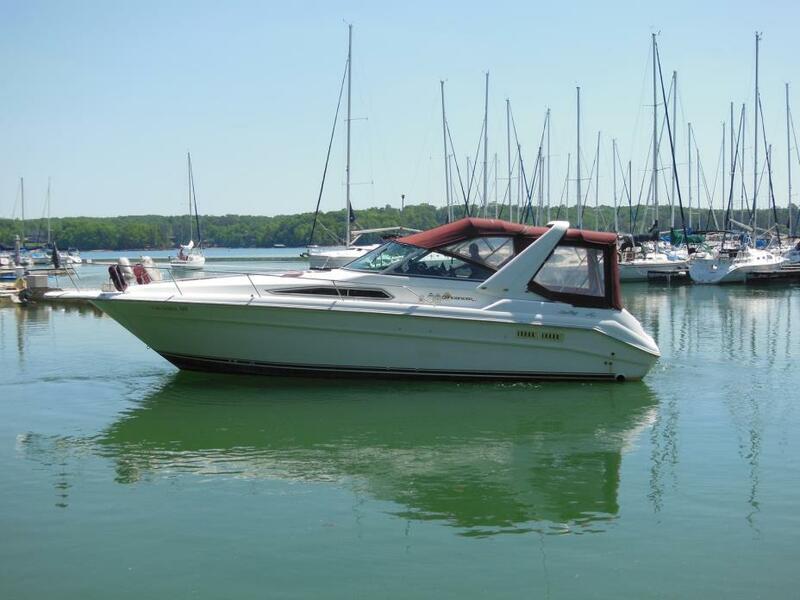 She is also equipped with twin Mercruiser engines that have 553 hours. 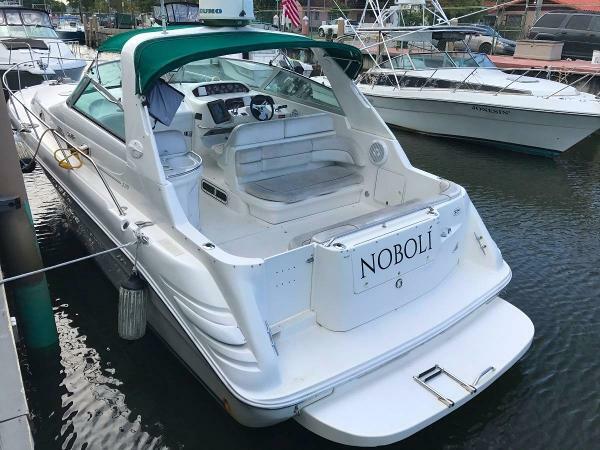 Per the Seller: This is a very well maintained boat. There have been very few hours put on the engines in the past four years. All of the canvas and vinyl are in very good shape. The interior is very clean and well kept. 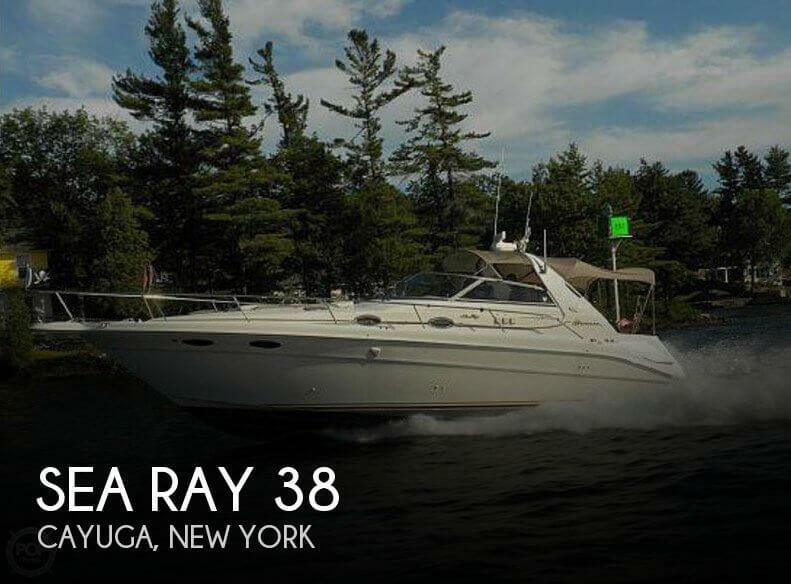 Stock #156025 1997 SEA RAY 330 SUNDANCER TWIN MERCRUISERS If you are in the market for an express cruiser, look no further than this 1997 Sea Ray 330 Sundancer, just reduced to $39,999 (offers encouraged). 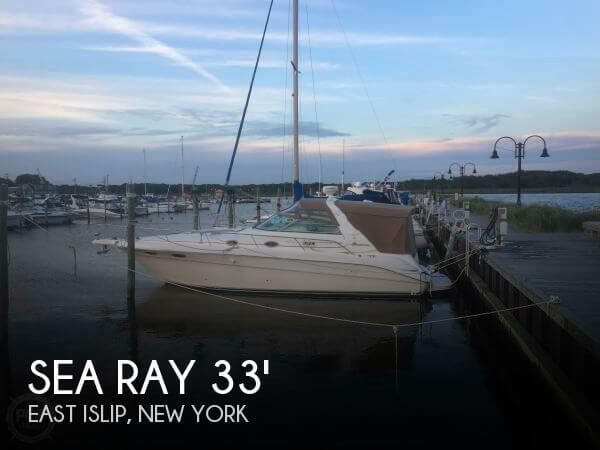 This vessel is located in East Islip, New York and is in good condition. 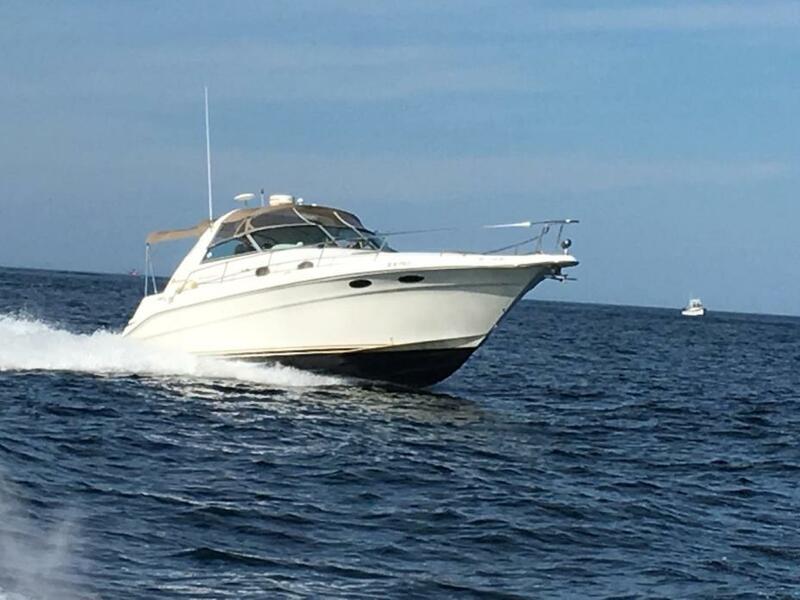 She is also equipped with twin Mercruiser engines that have 447 hours. Reason for selling is upgrading. The engines have low hours and the boat and engines are maintained by the local marina where the boat ls located. It does sit inside an indoor storage facility, it needs a clean up but otherwise a nice boat that is kept out of the elements. Stock #077963 Well kept boat! Repowered. Low hours on the engines. Nice balance of deck space and interior room. 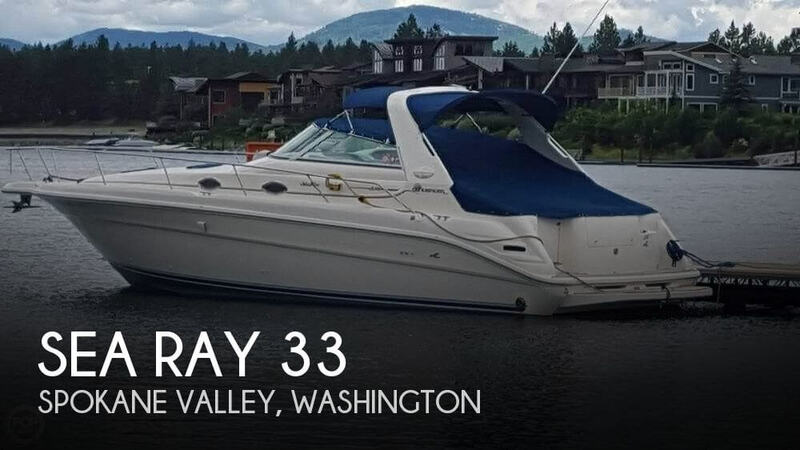 If you are in the market for an express cruiser, look no further than this 1995 Sea Ray 330 Sundancer, just reduced to $34,990 (offers encouraged). 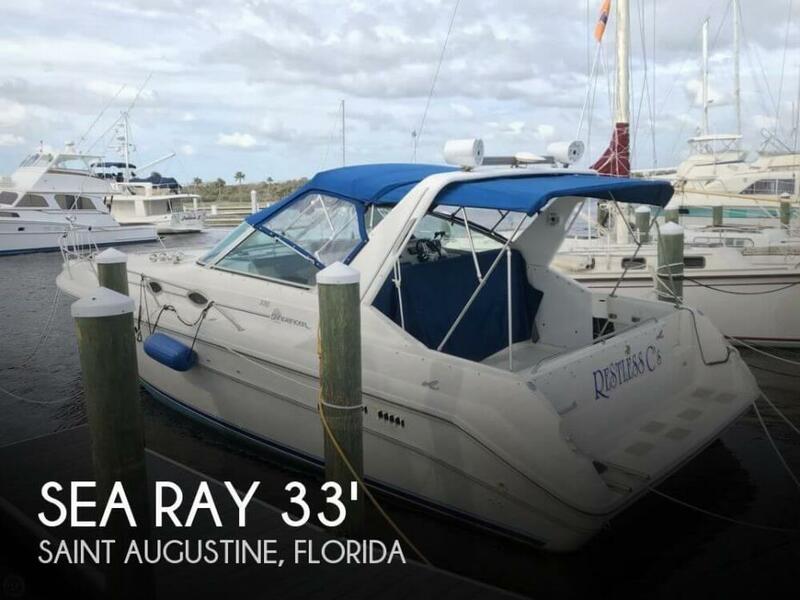 This vessel is located in Panama City Beach, Florida and is in decent condition. 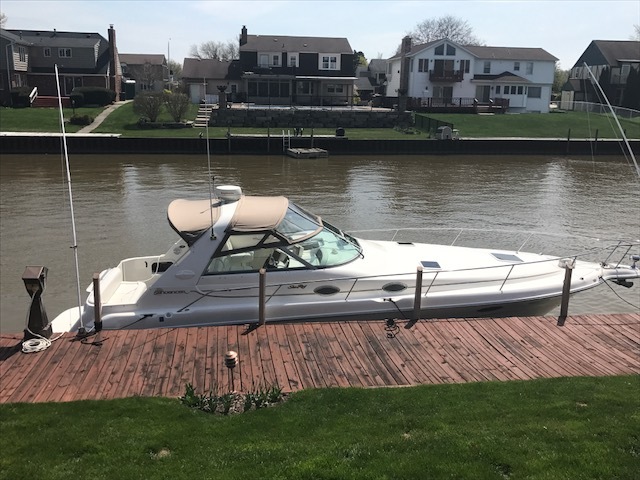 She is also equipped with twin Mercruiser engines that have only 106 hours. Reason for selling is lack of use. 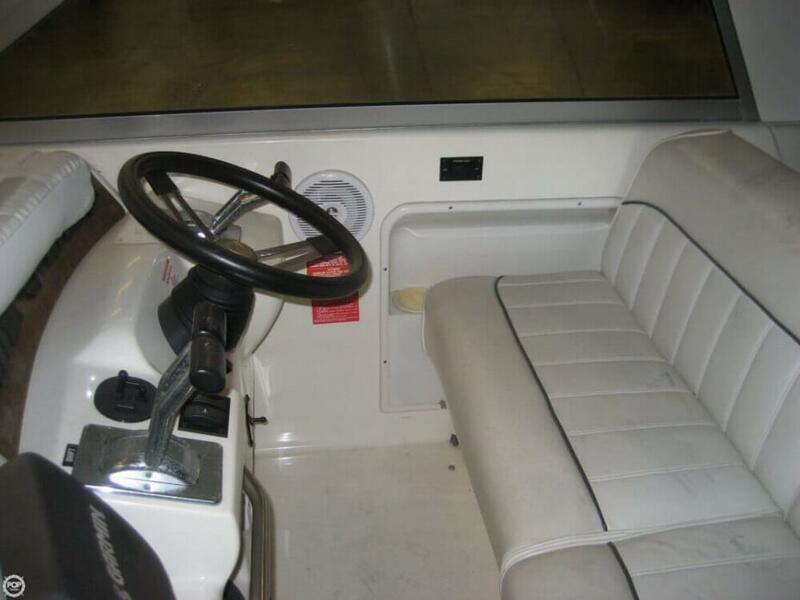 1992 Sea Ray 330 Sundancer powered by twin Mercruiser 7.4L Bluewater V-drives that has only been used in freshwater. 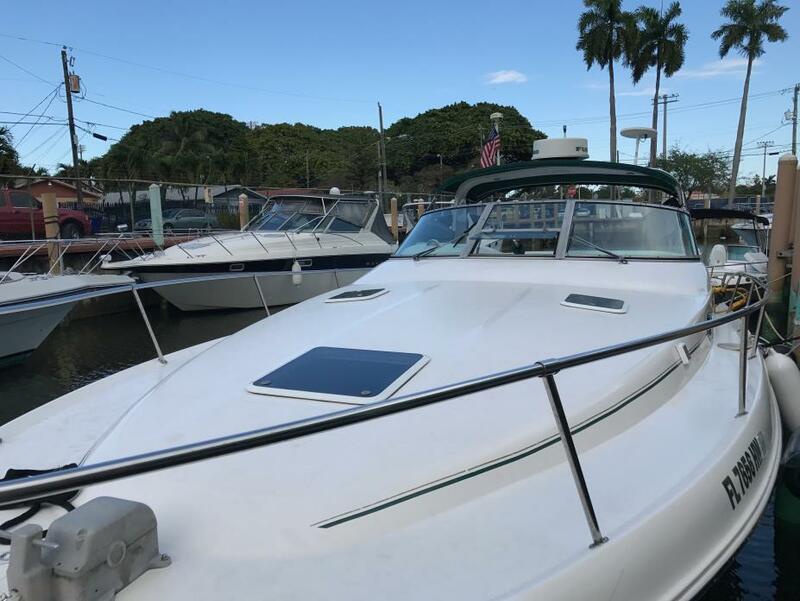 This boat comes with a radar arch with full enclosure, Bimini tops, Westerbeke generator with 378 Hours, Heat/AC, snap in carpet, Garmin fish finder 250C, VHF radio, CD/stereo, Remote spotlight, Windlass anchor, Compass, cockpit sink, cockpit fridge, full galley with sink, microwave, fridge, cooktop, dinette table, enclosed head compartment, aft cabin and more. THERE IS NO TRAILER WITH THIS BOAT. $27,995.00 or finance for $219.00 per month W.A.C. 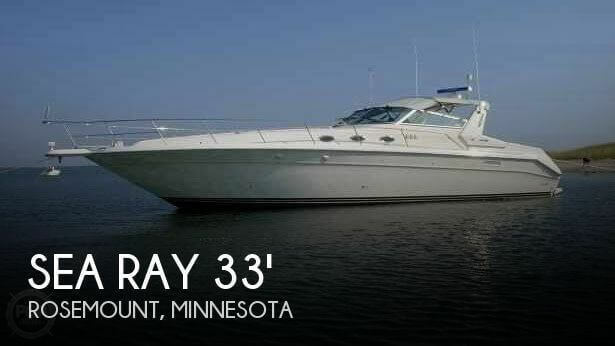 For more information on this 1992 Sea Ray or over 100 pre-owned boats in stock call or email American Boat Brokers today! 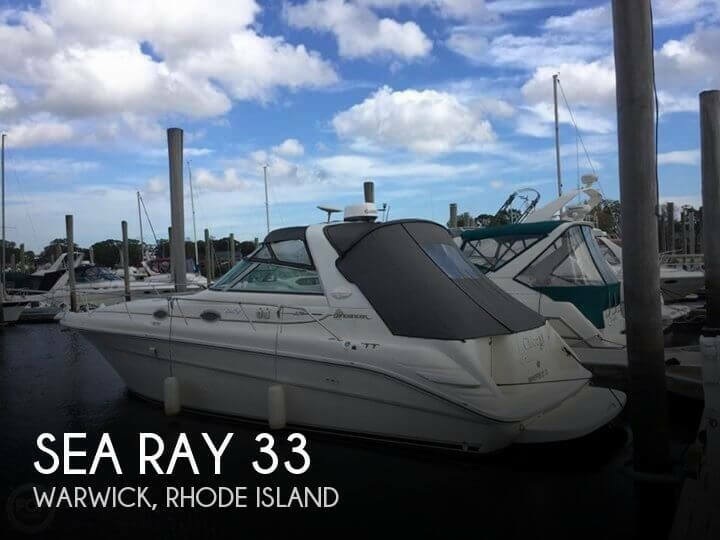 1995 Sea Ray 330 Sundancer SEA RAY SUNDANCER 330 WELL MAINTAINED BOAT SLEEP 6 2 MERCRUISER ENGINE 8.1 AXLE TRANSMISSION (ONE TRANSMISSION AND ELBOWS AND RAISERS NEW) WOOD PANEL INSTRUMENTS IN THE DASHBOARD (NEW) KOHLER GENERATOR DOUBLE BILGE PUMPS CABIN BILGE PUMP WINDLASS RADIO VHS MARINEAIR AC (NEW) BIMINI WETBAR WITH FRIDGE SWIMMING PLATFORM FULL BATHROOM HEAD SYSTEM AND MACERATOR STOVE, FRIDGE MICROWAVE AND SINK CABINETS SUPERBASS AUDIO CLARION FULL BED IN CABIN CONVERTIBLE DINNING TABLE CONVERTIBLE READING AREA TV AND DVD FINANCING AVAILABLE!! !